The Windows Modules Installer Worker is a rather common error in machines running Windows systems. In most cases, people having Windows 10 operating system on their computers face the issue of Windows Modules Installer Worker. The most common signs of this issue are the unresponsiveness of the Windows Modules Installer Worker Tool in the task manager as well as high CPU usage. If you have been experiencing this issue on your computer, the easiest method to resolve it would be to change your Windows update settings from automatic to manual. This should resolve the issue immediately and you can then go on using your computer as usual. However, if you are still bugged by this issue, then the following methods are likely to help you fix this issue. In some cases, the task manager may indicate high CPU use even when the updates have been changed from ‘automatic’ to ‘manual’. If that is the case with your computer, then the issue is because of tiworker.exe. 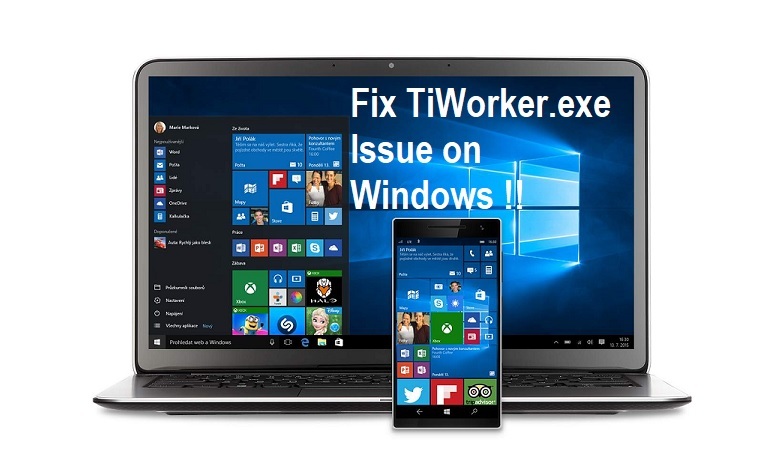 The executable file of tiworker.exe is also associated with Windows Update. If the tiworker.exe is leading to high CPU use, it can be fixed easily with the help of the following steps. If you are a Windows 10 user, you should press the Windows Home button in your keyboard and then search for the option of ‘Troubleshooting’. Then click it to visit the dedicated troubleshooting page. On the other hand, if you have an older Windows OS version, you can simply search for Troubleshooting in the control panel. Look at left side of the new window where you will find a number of options. Locate the option “View All” and then click it. Once you go to the View All option, you can easily locate the option of ‘System Maintenance’. Simply click on it after which it will start to detect the issues in your system. This will take only a few minutes. Once it is done, you need to reboot your computer. In most of the cases, it is going to resolve your problem. However, even if you find the issue still persists, you should follow the method described below. Another effective method for resolving the issue with the Windows Modules Installer Worker is to carry out a clean boot. This is something that you can do with the Microsoft Configurations tool that is found with every Windows operating system. This tool allows you to find all the temporary and unwanted files on your computing system. By removing or deleting these files, you can easily release some portion of free space. Moreover, it is going to free up the CPU from various unwanted processes and services. This will help you to reduce overall CPU usage. Click on the Windows button and then search for the msconfig.exe. Open it after you have found it. After you have found the MSConfig window, select the option of normal startup and press OK.
Now simply restart your computer following the various on-screen prompts. Once the restart has been carried out, you won’t find the error associated with high CPU usage. You can go ahead and open as many windows and apps as you may feel like without worrying about the computer becoming terribly slow. These common methods of fixing the Windows Modules Installer Worker issue work in almost all cases. Try out any of these methods and you can surely resolve this issue on your computer. If not, you should upgrade your computer system hardware. If you find the error still persists, it is because your operating system does not meet your hardware configurations for running all your apps.